PROVO AGAIN! : Olivia Has Skills! Once again Olivia shines with design! She does our newsletter each month and she also designed Jacob&Krisanne's wedding announcement. Jacob's friend Brandon did their photos in his studio. Class act for all involved. Olivia has definitely got skillz. Beautiful work all around! 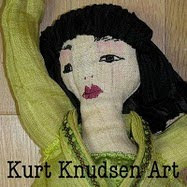 Ali, head over to kurtknudsen.etsy.com and leave us a convo with your email address and we will put you on the list.